The spiritual life can be likened to therapy. God is the divine therapist, and whether we realize it or not, we are in need of therapy. The more we speak to him honestly, the more we meditate on the Gospels, and the more we understand and accept the teachings of the Church, a seemingly strange and paradoxical event begins to happen. We begin to realize that we are not as “perfect” as we once thought we were. In fact, we may even begin to feel worse than we ever have before. Hence, many of the saints, who were far more advanced in virtue and prayer than most of us, could honestly believe that they were some of the worst sinners in the history of humanity. The reason for this strange occurrence is simply the brightness and warmth of God’s unfathomable love. 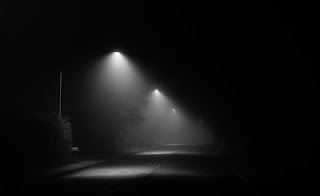 Imagine yourself walking down a street at night in a country town with only streetlights to guide you. The darkness of night would prohibit you from seeing every detail about the town. With the help of the streetlights, you may be able to see a few things, yet your overall vision would be limited. Now imagine yourself walking down that same street at midday with the sun shining brightly on the town. Your vision would expand and you would be able to see things now because of the sun that you were unable to see at night. As we draw closer to God in our lives, it is like we are walking down the “streets” of our life, no longer at night, but at early morning and eventually at midday when the light of God’s love is able to reflect and reveal the truth about everything, especially about ourselves. The light of his love is enabling us to see things now that we [were] unable to see before when we walked in darkness. We are only now discovering our brokenness and interior poverty on a deeper level. It has always been there, yet the darkness of night prohibited us from seeing it and experiencing it fully. God, in his wonderful love and like a good therapist, is exposing our wounds to us, not to hurt us but to heal us. The problem is that we mistake this healing therapy as a violation, a punishment for our sins, or at best a strong rebuke. The fact that we interpret God in this way is yet another proof of the deep need inside us for the Divine therapist to heal us. God never wants to hurt us, and this tremendous grace that he is now giving us in being able to see reality more clearly is yet another proof of his love.